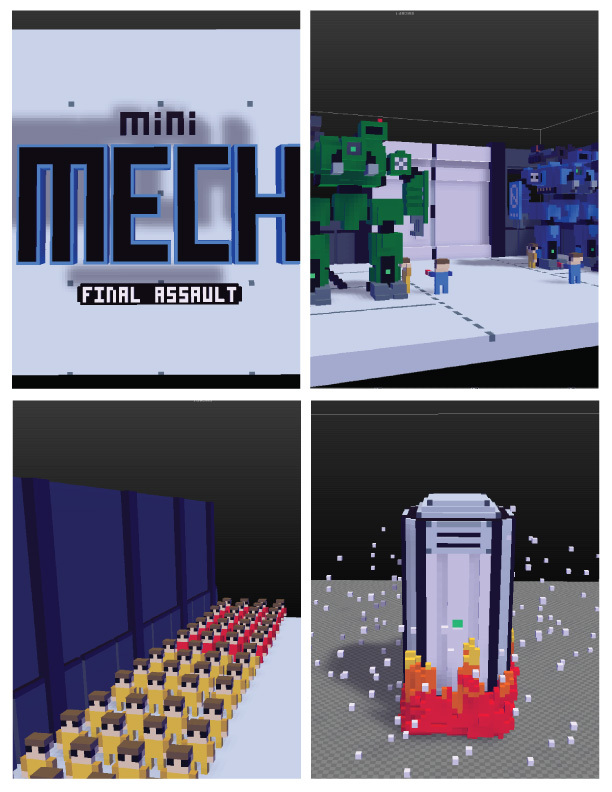 I'm almost done with a bullet storm game called "Mini Mech: Final Assualt" and I need some help. I attached a file with the three bosses in the game along with the main character. If you have the time I need help making attacks for the bosses to make a fully functional boss. I have done some work on them as you will see, I made all of their animations and made some for warnings as well. The file contains three folders: one for the Mars boss (normal difficulty), which I completed (feel free to make adjustments), one for the Hydra boss (hard difficulty), and one for Janus (the final boss). Whatever you make I will use and possibly make some minor changes, for instance the color of the attack. I will also make the final adjustments for the boss difficulty. I trust both of your creativity and talent. If you need me to make any more animations please let me know, and thats if you even what to help me out. I can make some animations or models for some of your projects if you like. I also need help with the plasma grenade pickup, I can't get it working right. I thought it would be fun to make a community pass down of levels. For this pass down level experiment there is some important rules, PLEASE READY CAREFULLY. The first person that posts will make the next level (ONLY ONE ROOM). This means there should only be two posts for each level creator (ONLY LEVEL CREATORS CAN POST): One to save your spot to avoid multiple submissions and the second for the attached .png to continue the pass down. NOTE: I may post to help keep the rules in order. Once the .png is submitted whoever makes the next post must continue the level pass down. You must make the destination from the previous room to your room only. If you make a mistake the next person must connect the rooms. The door should always be north and in the middle. The room should only be the standard 128 x 128. Make one block in the Block Folder and use it. Make one object in the Object Folder and use it. I will make a post that says whoever submits next will be the final level. I will then submit the final png. to the BBS and fix any door problems if necessary. In the level post I will make a list of all the people that worked on the level pass down. I modified one of Zep's mobs, but everything else I created. I wanted to make something that would not involve too much of my time. I have some other projects in the works that I may ask someone to help me with if they are interested. This is a project I've been working on for a little while. I will make some changes based on the feedback I get and then post the final version. You won't be able to play this in the editor. There are some glitches that prevent you from going forward, but if you reset the room it usually fixes it. I've played through this 2 times, so all the doors should work correctly and every room can be completed. 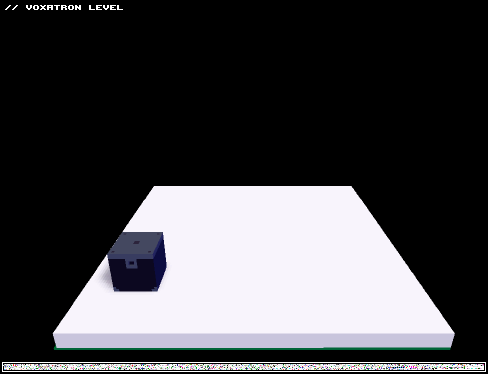 I made the game so you can't jump or pick up any cubes, so if you can there is something wrong. I made this to experiment with puzzle ideas and discovered that there is infinite possibilities. Please try to use the ideas I came up with in your levels or create all new puzzle concepts. 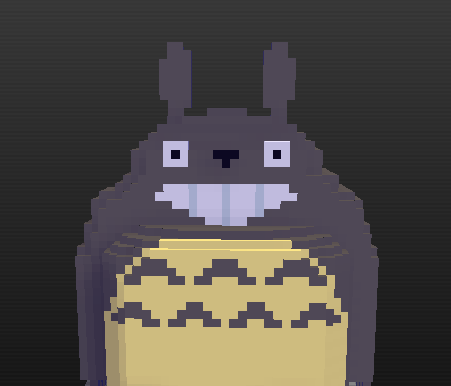 I found a this blog showcase voxel art. I thought it might give some people ideas. I though it may be a good idea to give more information about levels with this simple outline. The creator would post this for complete, near complete, or in-progress levels. I've been updating a level I made a while ago called The Last Dragon with animations and a finished story. I updated it as Journey to the East a while ago, so this will be the new title. There's a short video of some updates I made. The game will be extended and have an epic boss battle with the emitters for the 2.6 update. Could you add a door that would cause the player to appear in a random room? The reason I'm asking is because I thought it would be cool to make a roguelike, but of course it would only simulate one. However, the random door would need to block one time exit doors. It may be a confusing addition for people to find uses for it, so it may not be a good idea. Would you be able to add a few options and change a monster behavior. The pickups have a "collect once" box. Can you make a "spawn once" for monsters and "play once" for animation for when you re-enter a room(play once is an option for animation but is overridden when you re-enter a room)? Can you tweak the option for "chase player" so that a monster will start chasing when they see you? I think some of the original monsters have this behavior. If you have the time to make these additions I would really appreciate it. I've been building a story off and on, but I'm waiting for the emitters. I've been trying to learn some programing as well. Do you think you will make it possible to change the life bar and the other hub info in the future? I was inspired to make this shooter level after I saw what Ladybug did. I don't think this is practical for the game because it's hard to get it right, and the game isn't really built for it. Have fun with this. 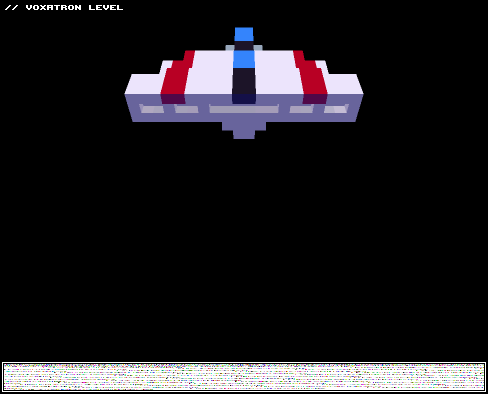 I also tried making my character an invisible voxel, but it didn't work for some reason. I copied and pasted the character from a different save. I thought it my be a useful idea, but I don't know for what. Allow this cartridge to be embedded off-site. When enabled, other websites can run this cartridge in an iframe. Otherwise, a preview image is shown with a link back to the cart's thread. Just a short experiment. Have fun with this. Hi, I completed the second part of this series "Planet of Mystery". Please make sure you play the prelude, it adds to the story. I was hoping to add some animations with the next update, but i'll just add them for the next chapter. I found that making this in pieces is not as overwhelming and it helps me make up the story as I go along. I hope you enjoy it. Thanks for all the great comments for the prelude. I will make at least one more of these to continue the story. Can you make a check box in the editor for loop animation? I think this would be a great feature. Something that would at least give you 2 - 3 frames and then time them and group them somehow. Then specify the group with a check box that links the frames together as an animation. Is this even possible? If anyone would like to use this hoverboard guy please do. It's finally here, the update for “Journey to the East”, which was previously called “The Last Dragon”. There's some random glitches in a few rooms that are caused by animations. I modified the bullets that Zep made because I was unable to create my own from start. I tried copying all the specs that Zep used in the demo, but still nothing worked. Please avoid playing in the editor until you played through it once, I have a few surprises. 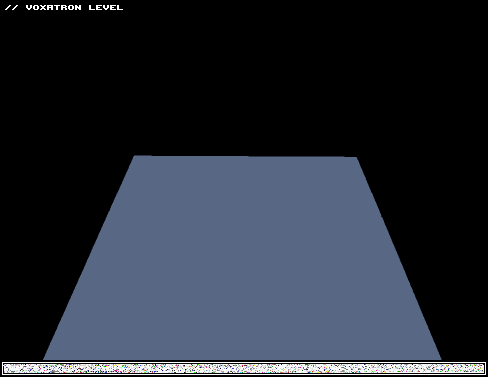 If you do play this in the editor all the rooms are in sequence from left to right, except for a few rooms with two way-doors and some rooms have a void ground. You can use anything I make, but I would encourage you to modify it so you can practice your own creativity. Have fun with this.